Daniel M. Entsminger concentrates his practice in corporate finance. 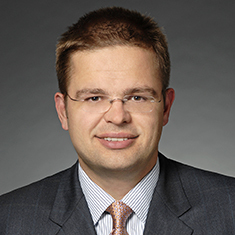 He represents senior secured lenders in leveraged buyout acquisition finance transactions. Daniel also counsels second lien financing, unsecured mezzanine financing, and institutional and entrepreneurial lender and borrower clients. Daniel’s experience includes several distinct lending products, including secured senior and unsecured mezzanine asset-based and cash flow loans, loans to distressed companies and loan transactions in the health care sector. Daniel also advises clients on health care industry transactions and represents borrowers in acquiring financing for their ventures. Daniel recently represented an insurance services-focused investment fund in its debt financing of the purchase of a specialized health services company. He also represented a private equity investment firm in connection with its sale of stock for one of its subsidiaries.